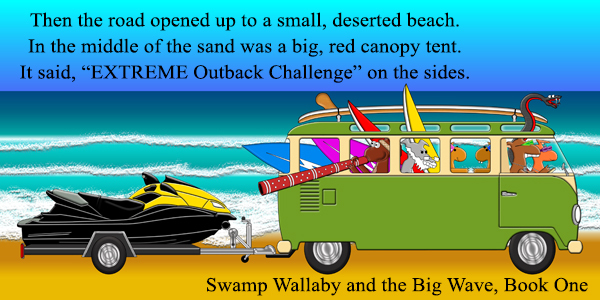 Swamp Wallaby and The Big Wave… What’s a Wallaby? Wallabies are marsupials that belong to a small group of animalscalled macropods. They are only found naturally in Australia and Papua New Guinea. Most macropods have hind legs larger than their forelimbs, large hind feet, and long muscular tails which they use for balance.